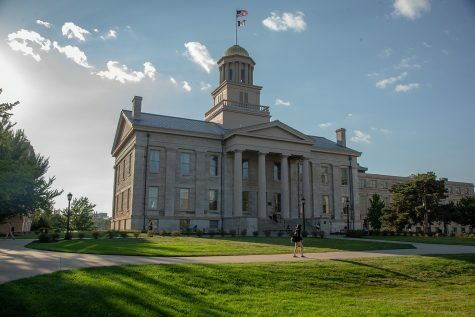 The Polk County court case against five current and former members of the state Board of Regents for their conduct in the 2015 UI presidential search moves forward. 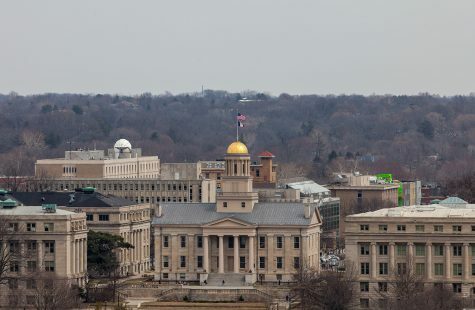 DES MOINES — A former University of Iowa employee’s civil suit filed against five current and former members of the state Board of Regents’ for their conduct in the 2015 UI presidential search is set to head to nonjury trial in Polk County as planned next month. Fifth District Court Judge William Kelly said in a hearing for the Gerhild Krapf v. Bruce Rastetter et al case on the morning of Oct. 6 that the scheduled nonjury trial date Nov. 6 remains. Kelly did not immediately provide a ruling on the request to drop the case. The defendants’ attorneys filed a joinder motion for summary judgment Sept. 7 to get the case dropped before it heads to trial. 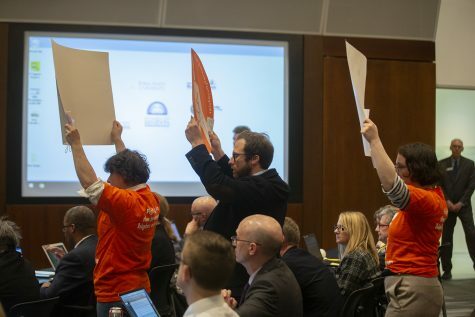 The five former and current regents — Bruce Rastetter, Katie Mulholland, Milt Dakovich, Larry McKibben, and Mary Andringa — were deposed that day. Gary Dickey, attorney for the plaintiff, former UI employee Gerhild Krapf, filed a resistance motion Sept. 22. 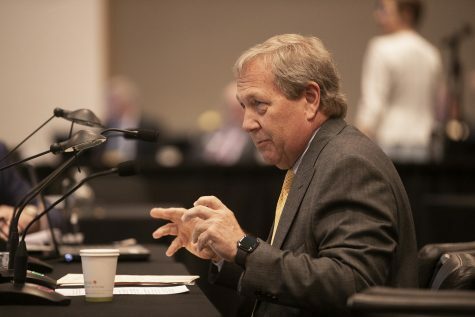 Regents’ depositions made public Sept. 25 revealed the recollections of the current and former regents’ from their private meetings held during the summer of 2015 with UI President Bruce Harreld prior to his hiring. 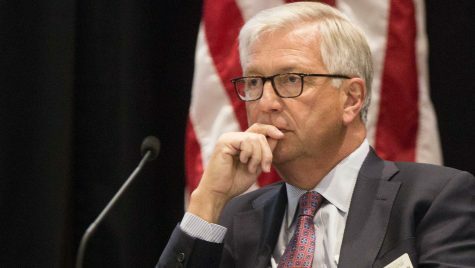 Rastetter, the former regent president, testified in his deposition that he coordinated the meetings between Harreld and four other regents at the Summit Agricultural Group office in Ames on July 30, 2015, upon Harreld’s request when Harreld, a former IBM executive, was seeking more information about the position. 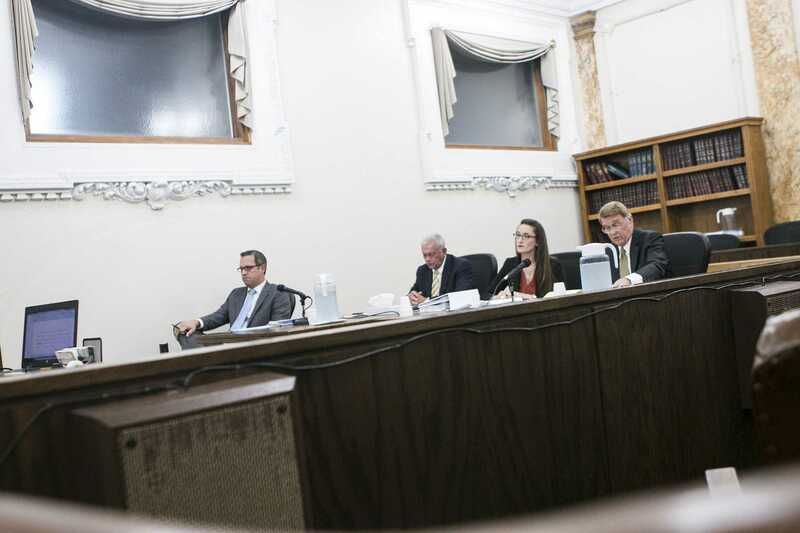 Richard Sapp — the attorney representing defendants Rastetter, Mulholland, and Andringa — argued on Oct. 6 that the meetings did not violate open-meetings law because there was no deliberation of a matter within the regents’ policymaking scope. 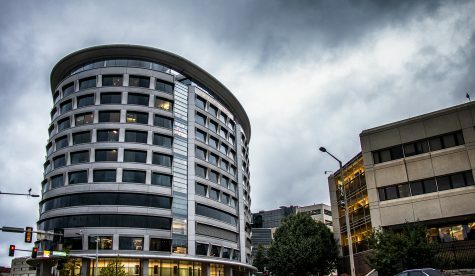 There was never a majority of the regents, a nine-member governing board, present together; in that situation, he argued, the law would have prohibited the meetings. In addition to the points Sapp made, George Carroll — the attorney representing defendants McKibben, Dakovich, and the regents as an entity — told Kelly that because Rastetter picked up Harreld from the airport but was not present at the meetings, the argument could not be made that a majority was ever present. “We would expect all potential candidates to have questions about Iowa and its future,” Carroll said. 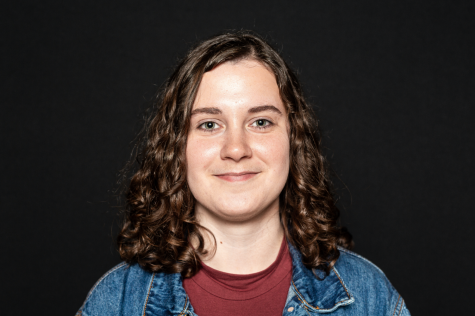 Dickey, however, argued the regents encouraged Harreld to apply and be a candidate for the UI presidency, knowing they would eventually have to select someone for the position. “That’s deliberation on a matter that falls within the policymaking duties of the board,” Dickey said. To avoid violating Iowa Open Meetings Law, Dickey said, the regents should have reached out to an attorney to confirm the legality of their efforts to comply with the law. 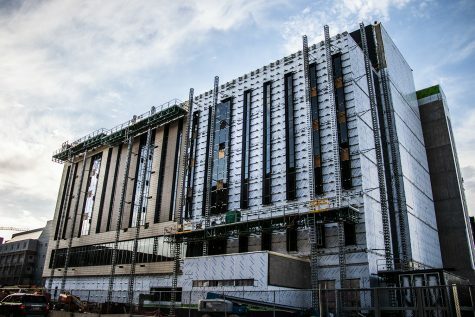 Dickey also said they could have held a public meeting in which the public was given prior notice with an agenda and that was recorded with minutes, eventually voting to move into closed session to meet with Harreld. Instead, the regents acknowledged in their depositions that they knowingly coordinated and attended the meetings in a manner allowing them to circumvent the Iowa Open Meetings Law, never meeting with a majority present. Part of Dickey’s argument relies upon the theory that the regents met in “serial submajority gatherings,” constituting a quorum though the regents did not physically meet with Harreld with at least five members present simultaneously. 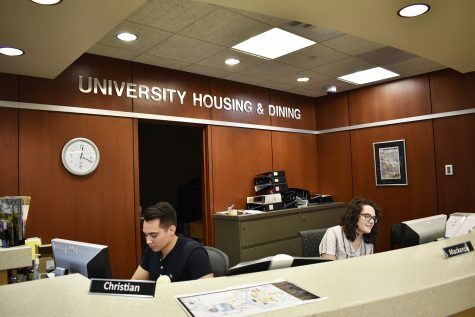 “It is hard to imagine of a scenario in which five members of the board could meet in closer temporal proximity than back-to-back-to-back,” he said. Sapp said he saw the effort to comply with the open-meetings law as no reason to fault Rastetter. 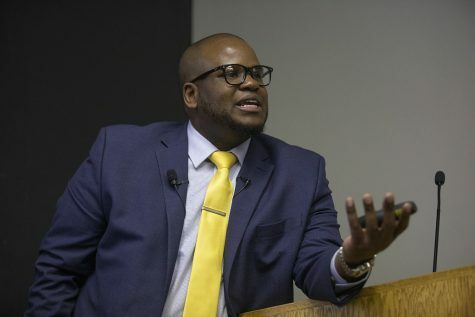 “Saying part of the reason we set it up this way was to comply with the law is hardly a reason for criticism of a public official in this day and age,” Sapp said.